Twas the night before Easter and all through the house. Not a chicken was stirring, not even a grouse. 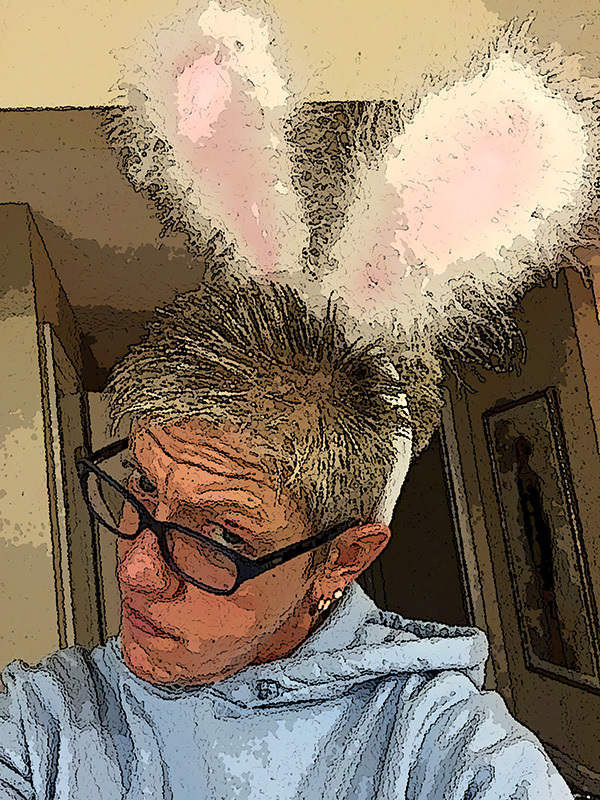 There were rumors afloat… ’bout a Big Easter Bunny. Those chickens were serious. They did not find it funny. What was all that racket? It smells like a skunk. When what to their wondering eyes did a appear? A Big Fatty Bunny. Buck teeth and big ears. 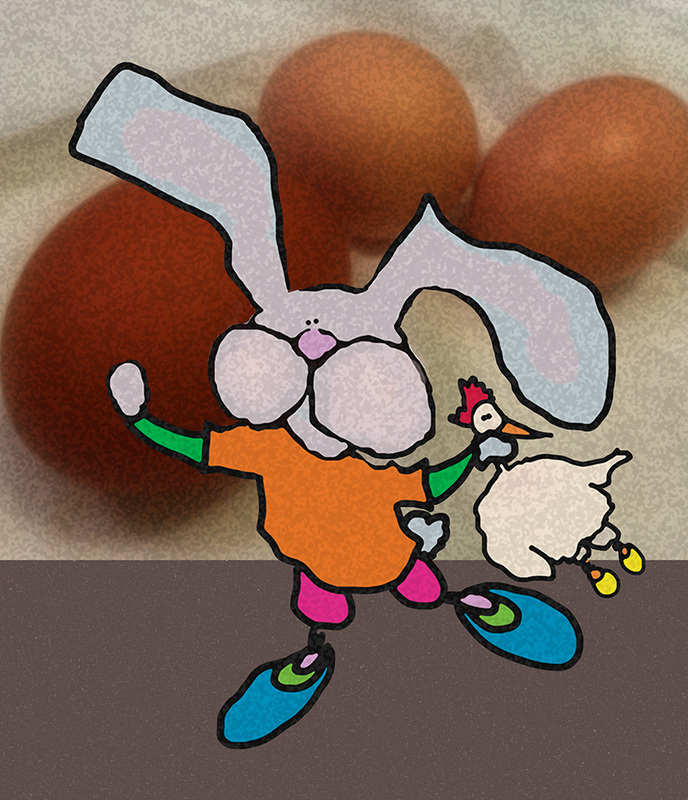 That rabbit did hop, and he scampered about. And out from behind him, came chocolate doo-doos. “Not that’s really something.” The chickens did say. And just like that he winked and he twirled. Happy Easter to All… up the chimney he swirled. 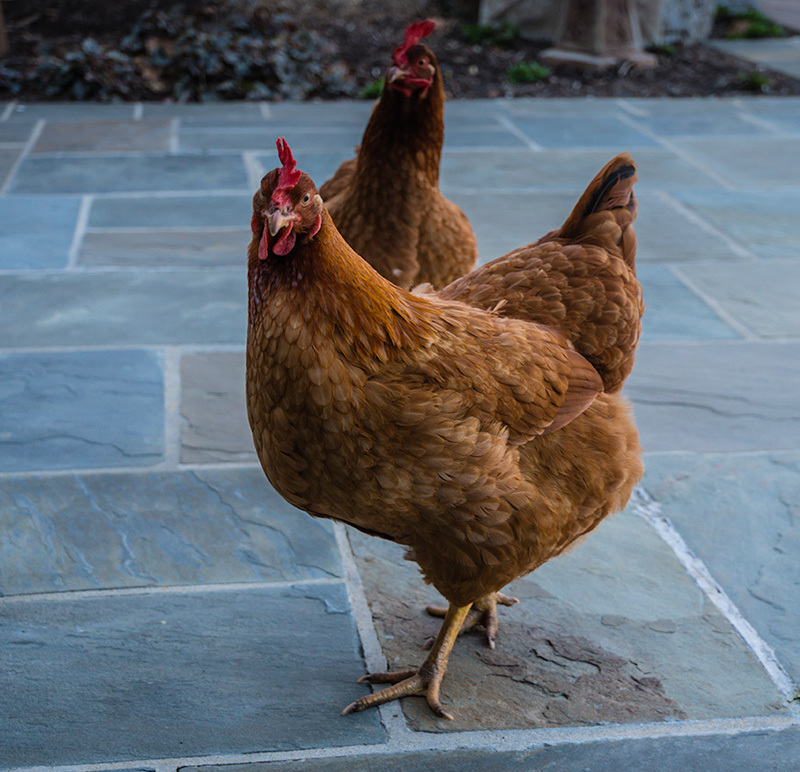 The chickens stood still. They were awe struck for sure. So they ate all the chocolates which were covered with fur.